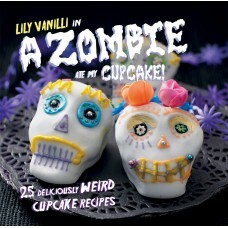 This book features killer cupcakes that taste bloody good! After being banished for so long to the land of the pretty and identical, cupcakes are biting back. Lily Vanilli shows how you can take inspiration from anywhere - insects, roadkill, zombies - and recreate it in cake, but always with a delicious result. This book is an introduction to making cakes that look weird, ugly and even grotesque - but that taste divine! There are amazing materials for making edible sculptures and hundreds of things you can do with natural ingredients. Give guests a shock with revoltingly realistic Marzipan Beetles, or add a crunch to your desserts with Morbid Meringue Bones, dipped in raspberry blood sauce. If Ozzy Osbourne made cupcakes, these are the ones he'd want to eat.